Bananas are available all year long and many of us like to enjoy it as juice instead of its common eatable form. The availability of bananas provide us a variety of delicious, light drinks in all seasons as we can add the seasonal fruits and make the best mixes ever. This mix may be prepared every morning to provide the essential nutrients with kids’ breakfast. It can also be added to the morning cereals instead of milk, and then they will taste very appealing cereals. 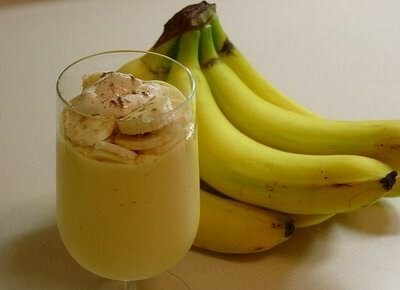 Banana-yogurt shake is one of the best alternatives to juices and desserts made with heavy creams, butter, sugar and flour. So if you are following certain slimming diets, yet looking for a low-calorie dessert to enjoy, you will have no problem if drinking banana-yogurt shake that is made with different fruits, every day. The mix is also suitable for diabetes patients and will be totally perfect for old people as providing them calcium, carbohydrates, nutrients and fructose sugar at once. Turning the banana-yogurt shake into a vegan mix will not be a difficult process at all. All you have to do is just following the common milk shake recipe using soy milk instead. For a thicker liquid, use enough fruits and less amount of liquid. See a variety of banana-yogurt shakes and smoothies here. And more healthy recipes here.